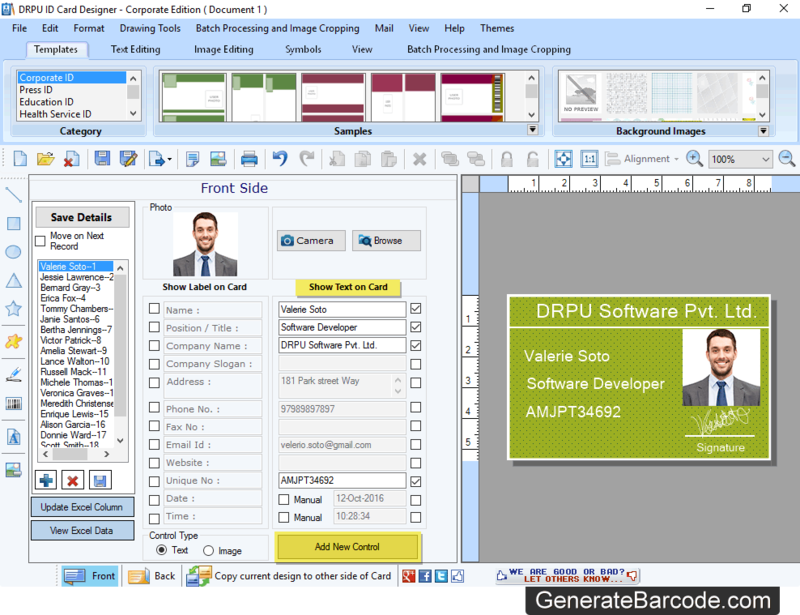 For designing ID card, select any one module. 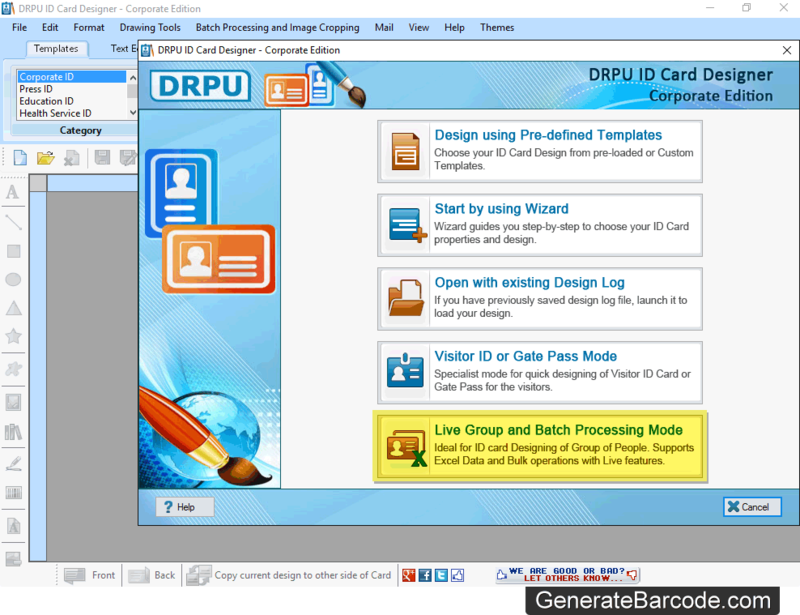 Here, we have chosen 'Live Group and Batch Processing Mode' option for demonstration purpose. Choose any one option either 'Start with new Project' or 'existing Project'. To make new project, select "Start with new Project" option. 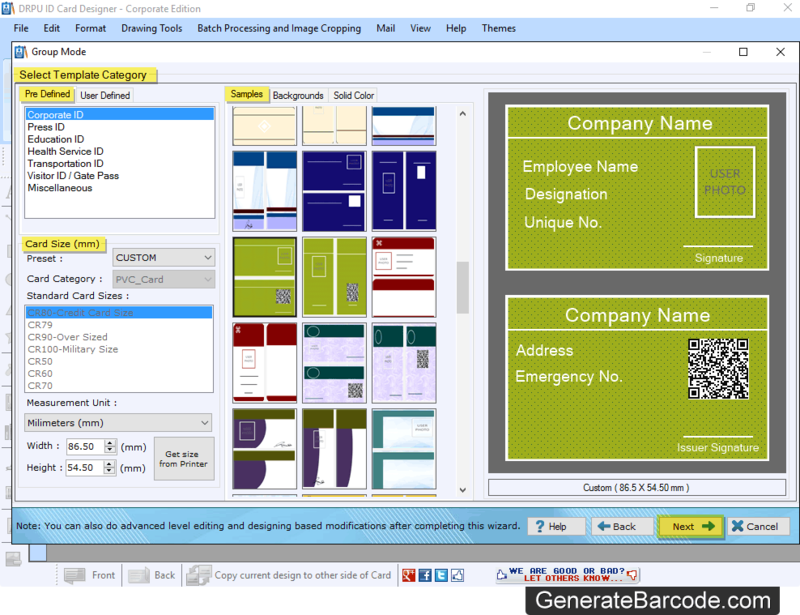 Enter Project Name, Project Path and Browse the path of excel file. Go to 'Next' button to continue. 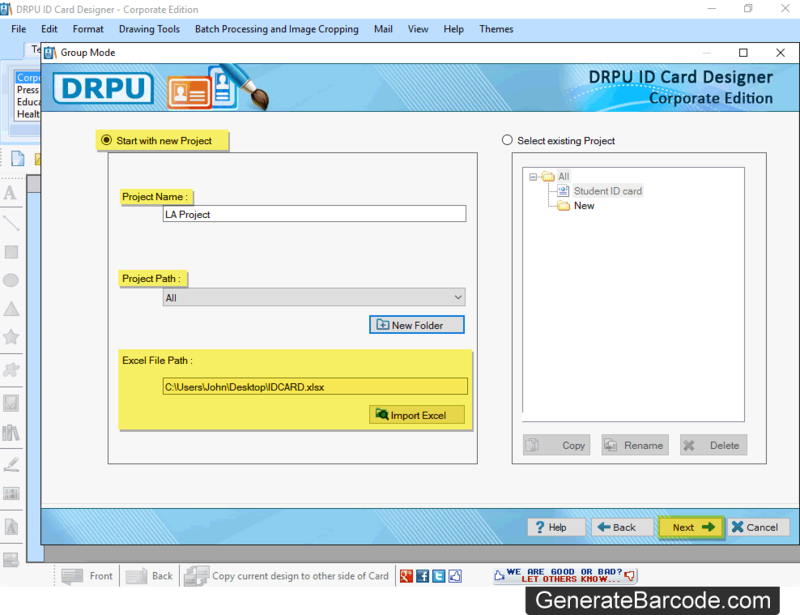 Choose predefined template and card size for your ID card. 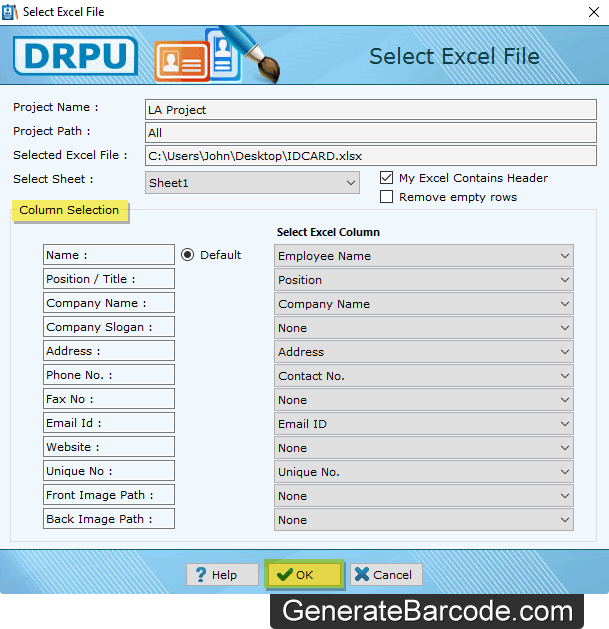 Select excel column for their respective ID card fields. Click 'OK' button. Check the box next to the Text you want to show on your ID card. Click on 'Add New Control' button to add new Label as per your needs. 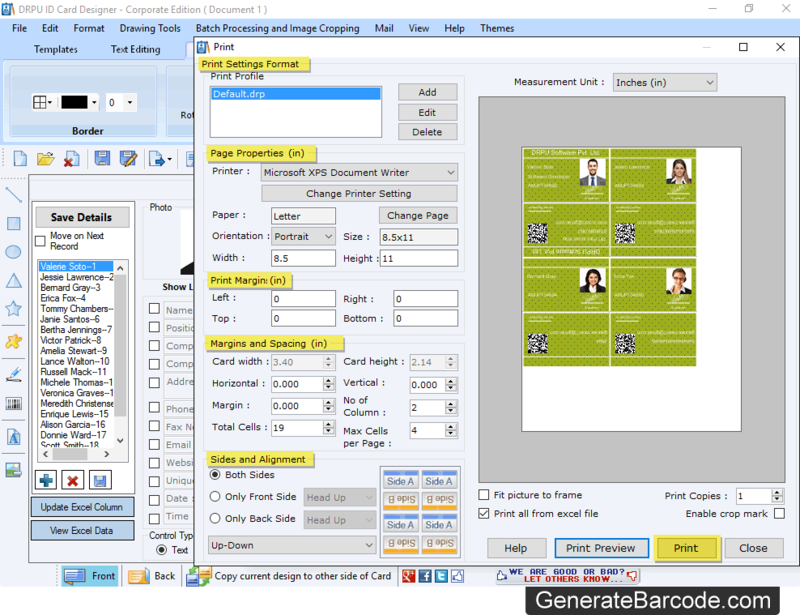 To print created ID card, set all print properties and click 'Print' button.